When it comes to brand perception, you’re no longer in control. The balance of power has shifted from brand owners to customers, and what people say about you online can either derail your business or accelerate its success. This is especially true for consumer-focused brands in industries such as retail, hospitality, automotive and healthcare. 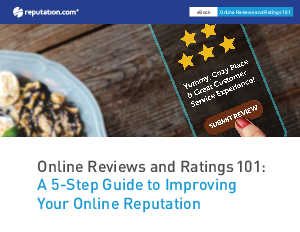 This guide will help you understand the role of online reviews in overall brand health, and the tactics to maximize your online reputation brand health, and the tactics to maximize your online reputation.